Pupils from Coniston Primary School in South Gloucestershire enjoyed a theatre performance at Patchway Library at the beginning of November. 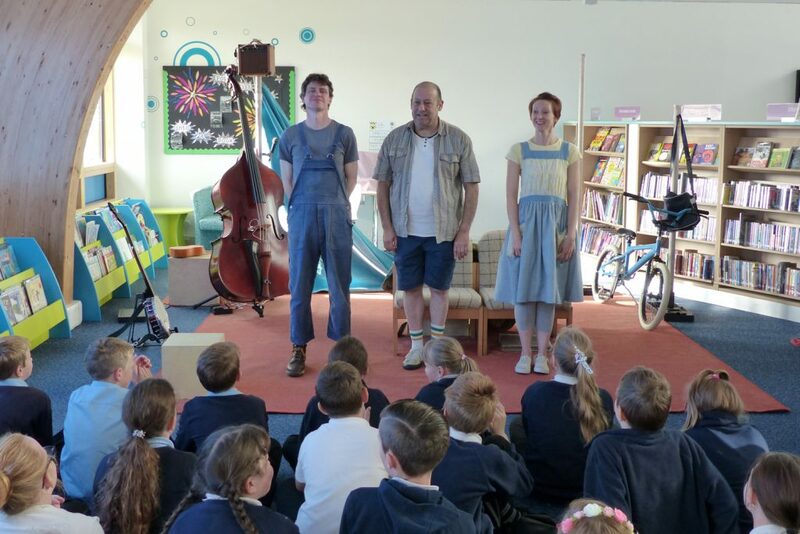 Local theatre company Travelling Light has been touring South Gloucestershire libraries, bringing theatre to local school children in alternative settings with their play ‘The Mysterious Vanishment of Pobby and Dingan’. Pupils from Staple Hill Primary School, Barley Close Community Primary School, Christ Church C of E Junior School, Parkwall Primary School, Coniston Primary School, Manorbrook Primary School and Gillingstool Primary School visited their local libraries to watch performances of the play. Created especially for children in years 5 and 6, ‘The Mysterious Vanishment of Pobby and Dingan’ explores a range of themes using theatre to tackle some of the issues and life questions that young people ask and think about. There are also educational resources accompanying the show that schools can use for follow up work after the play. The debut novel by author Ben Rice, ‘The Mysterious Vanishment of Pobby and Dingan’ is a story about how one Australian boy’s mission to save his family unites an outback opal-mining community. The play has been adapted especially for libraries by acclaimed children and young people’s theatre company, Travelling Light. ‘The Mysterious Vanishment of Pobby and Dingan’ has been re-commissioned by Libraries West supported using public funding by Arts Council England to tour to libraries across the South West, bringing high quality theatre to places and people who might not otherwise have access to it and exploring the future of touring theatre productions to libraries. The theatre performance for Coniston Primary School pupils took place at Patchway Library on Thursday 3 November.